Excelling by making real friends rather than rap friends, 22 year old rapper Key Nyata doesn't care about climbing the social ladders of Hip-Hop. After being featured in XXL's The Break at 18 years old, former Raider Klan member and child prodigy Key Nyata has traveled a long road, seeing the the ups and downs of the rap game yet he's still persevering to this day. 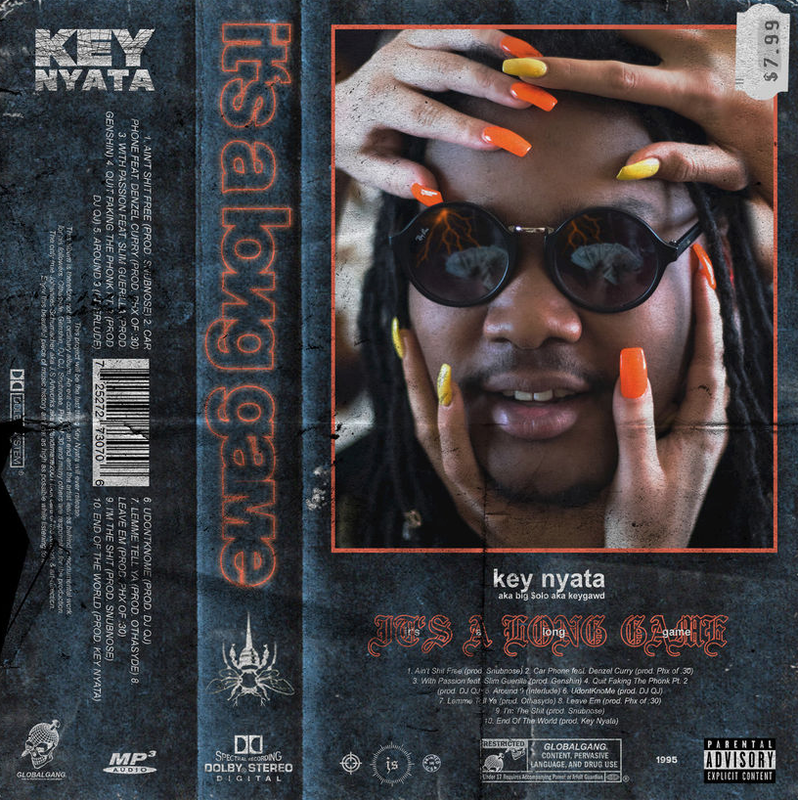 Now Key Nyata says this will be his last project, aptly titled It's A Long Game. The final effort will feature guest verses from Denzel Curry, Slim Guerilla and worldly production from a Snubnose, PHX, Genshin, DJQJ, Othasyde, and Key himself. "I wanted to take it back to the roots," Key Nyata explained. "Back to the era where I per say made all my fans, to the era where I was truly immersed in my music, like back when I was with the Raider Klan. I had to go back and get a couple of the homies from that time period; Denzel Curry, my boy Slim Guerilla and some production from several close homies." 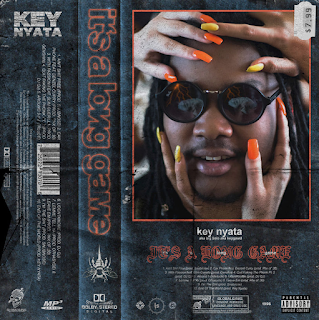 Previously mentored by Vince Staples, Raider Klan ringleader SpaceGhostPurrp and Seattle mainstay Nacho Piccasso, Key Nyata has spent roughly ten years in the rap game perfecting his craft and getting advice from mentors. "Vince Staples took me under his wing and was really instrumental in making me a better artist when I was young around 14 or 15. I was on one of his first projects producing, but he used to just challenge me to make a few beats and he really wanted me to sharpen up, that's like my big bro to this day," KeyNyata said. "Then with me being one of the first members of Raider Klan, I was integral to getting some of the first members in there. When I got in, it was only me, Purp, his family from Miami and Denzel Curry - we were the two youngest ones in clique." Key Nyata was always surrounded by Hip-Hop culture growing up in Seattle. With both parents having had their own ties to the game, Key Nyata was destined to be a rapper and started writing at an early age after being exposed to the world of Hip-Hop from his parents. "My dad was friends with E-40 and the Click and whenever they would do shows in Seattle, they would be around the house playing dominoes so I was always around Hip-Hop culture. My mom is from Long Beach and grew up in high school around Snoop and Warren G and she loved Hip-Hop so I always had Hip-Hop in my life," Key Nyata explained of his upbringing. Carrying out his family traditions Key Nyata mixes the classic West-Coast sounds of the 90's with bars from today for a funky juxtaposition the rap game is primed to embrace. But there's more to this story. "This is my final project going as Key Nyata. I don't want to say too much about the future just yet, but if you know me, you know what's going on," Key Nyata explained. "To the world I will cease to exist if not for just a little bit of time. Anyone that listens to my music will know what I'm doing right now."